Praise be to Allaah first and last, and thanks be to Him always. He blesses whomsoever He will with guidance, and deprives whomsoever He will of happiness. He saves His slave from misguidance and supports His close friends until the Hour begins. My dear Muslim brother and sister, congratulations on your being blessed with guidance. We ask Allaah to make you steadfast until death. It was a great achievement when you decided to embrace Islam and give up the misguidance in which you had grown up and the shirk [association of others with Allaah] which is forbidden. We welcome you as a new brother in Islam and we welcome you as a visitor to this site. First of all, we would remind you that in this world man passes through great tests and trials, which require him to be patient and steadfast, and to stand firm until death. One of the trials with which Allaah tests His slaves is the enjoining of obligations and duties such as prayer, fasting, zakaah (poor due), Hajj (pilgrimage) and other acts of worship, and the things that He forbids them to do such as lying, cheating, adultery, homosexuality and all other forbidden things, so as to see the sincere believer who obeys the commands of Allaah, so that He may admit him to Paradise, and the liar and hypocrite who does not obey Allaah, so that He may send him to Hell. Try to do your best to learn what Allaah commands, and do it, and what He forbids, and avoid it. There are many commands, and many prohibitions, and it is impossible to list them or explain them all in one place. But we refer you to what is mentioned in this site of ours of questions that deal with the teachings of Islam, so you can look at it and read what it says, and may Allaah benefit you thereby. Please kindly click on this link here to know how to perform ghusl. Ablution is means of purifying the body and soul before performing any prayer. Performing Salah is the 2nd Pillar of Islam after the Shahadah and is compulsory on every Muslim to pray. In relation to praying in Islam, please kindly click on this link here to know more. Finally we advise you to look for an Islamic Center in your area or town, and to keep company with Muslims who practice their religion. 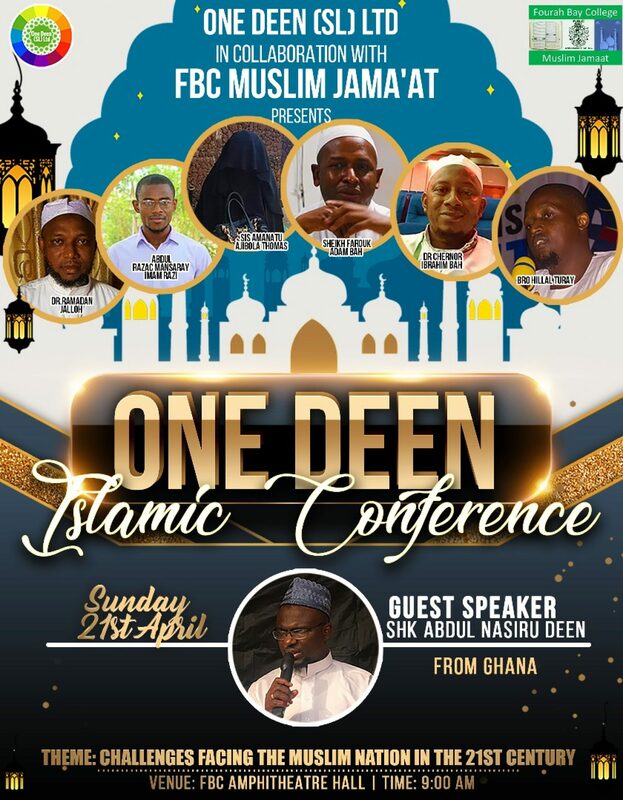 We have series of Islamic places and locations in Sierra Leone on our website which you can view here at your comfort! Do not forget to read trustworthy websites, and try to benefit from them as much as you can. We will also be happy to help you and others like you who are looking for things that will benefit them, and we will offer whatever advice we can, so keep in touch with us and kindly make use of the Ask the Scholars section here for any question you may have. May Allaah protect you and take care of you. Previous Post: DAQVAH CHARITY FOUNDATION PROVIDES BREAKFAST FOR OVER 700 PEOPLE IN FREETOWN.